Thanks to all who helped at Volksblast 2009! Thanks to all of those who helped out this year to make VOLKSBLAST into another great success! We have now raised well over $100,000 in our 11 year history. I will have the results posted shortly, Keep tuned for VOLKSBLAST 2010 updates! Volksblast would like to thank: Bill and Ana Steckley, Enrique and Carla Nuefeld, Alvaro Rodriguez, Dean Kirsten, Pete and Virgie Vanderglugt, Gustavo Ramirez, Patrick Gomez, BIll Dwyer, Susan Wiggins, Erin Westberry, Priscilla Telon, Kris Ridgeway, The Stelle Family, Allen Whatley, Joe from Auction-It, Ceasar Costa, Ramsey Rodriguez, Ernie Perez, Mike Reed, Felipe and Cristina Duran, Arthur and Peter from Euro Tuning, DJ Abel (sum1) and His wife (DJ LadyT) and DJ Leroy Owens, and those I may have missed. Let me know! Miami - Dade VW Dealers Association (and Crispin Porter Agency), Schwartzhog Liqour of Germany/OWS, The City of South Miami, Reflections Productions. The Policy Explorers of South MIami, The Fire Brigade Band, Watkins PR, Euro Auto Tuning of Miami, The Wizards VW Repair of South MIami, Steckley Photography, Hot VW's Magazine, Carroltton School, Wolf Cars, Splittsville Lanes, www.goodmans.net, Dub Korps, Airhead Parts, Wolfsburg West, and you the folks who came out and supported the show! Thanks to everyone who has helped making the show what it is, and the good it can bring to everyone involved. 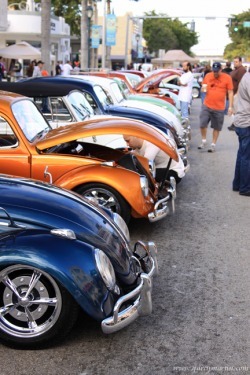 The Miami-Dade VW Dealers Association have stepped up and helped us bring this event back stronger than ever, including expanding Volksblast 2009 to include a Watercooled VW Get-Together in conjunction with the air cooled show on Sunset Drive. We encourage the newer watercooled VW's to participate as well as new gfeneration Porsche and Audi automobiles! More information available soon on the events tab of the site. The entertaintainment at Volksblast 2009 has graciously been provided by the Schwartzhog brand of Germany. Please check out http://www.schwartzhog.com and see what Shooting the Hog is all about! Schwartzhog was responsible for us being able to provide a band and a DJ this year as well as a true sound system for the event. Check out http://www.firebrigaderocks.com for the band details! As always Volksblast would not be able to continue without the volunteers and supporters that put in the many hours to make it what it is. These supporters include The City of South Miami, Steckley Photography, The Wizards Foriegn Car Repair, Miami V-Dubs, and the Wide 5 and Palmetto Bugs VW clubs. Volksblast Inc. is a Florida Non for profit corporation with all unpaid volunteers as staff, and all profits donated to charitable causes. Welcome to the VolksBlast website where you can find all the information needed to keep you informed on the upcoming VolksBlast weekend, February 6th-8th, 2009. This site provides information you will need to participate in our show and events, become a sponsor, view past year's pics, or simple see what its all about! For more information, feel free to contact Jason Walters at bugginmiami(at)hotmail.com for more information. Once again, we will be having 3 days of events during the VolksBlast weekend. Click on the Events tab for more information on these events and the VolksBlast show. If your company, organization or individual would like more information in partnering with us as a sponsor, we offer different levels of sponsorships. Donated items for our goody bags, raffles and auction are always greatly appreciated and aid in the process to raise funds for charity. Please click Sponsor tab for more information. We are grateful this year to have the support of the Miami-Dade VW Dealers; including Deel VW, Esserman VW, Esserman International, and South Motors. Big thanks to them for helping Volksblast continue! We have also recently welcomed the support of Schwartzhog for the 2009 entertainment sponsor slot!